This little rodent was taking a giant leap for hamkind — until he fell. 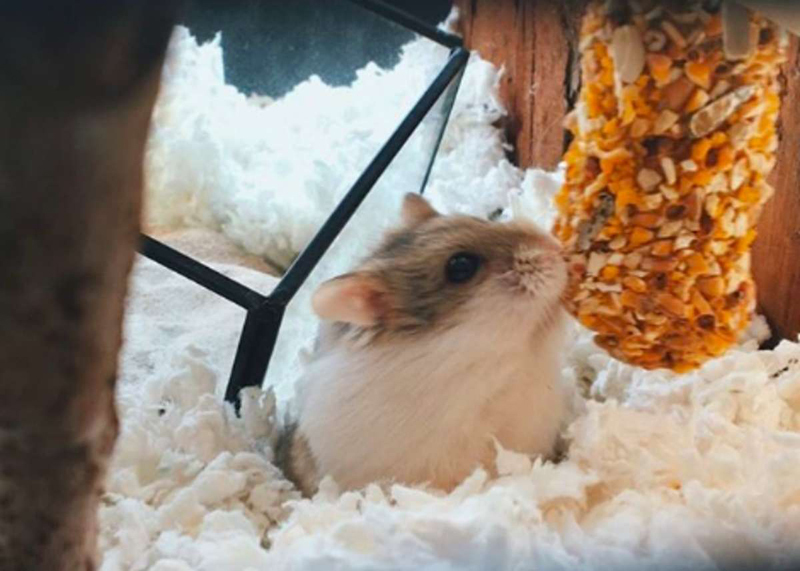 About a week ago, Kirk the dwarf hamster was climbing up the side of his cage when he got his foot caught in something. His mom, Dottie James, noticed right away and brought him to the vet, who shared the unfortunate news that little Kirk would be out of commission for a bit. 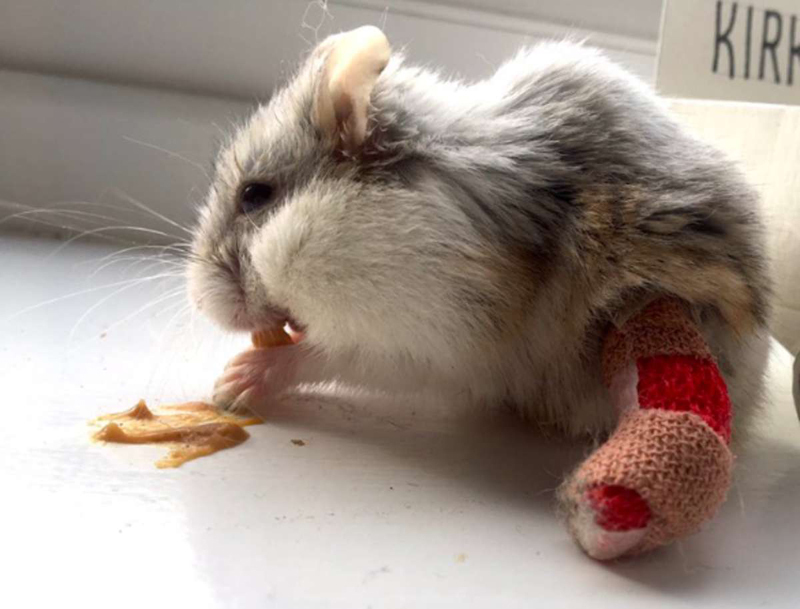 He had somehow broken his tiny ankle.As a very active little hamster, Kirk was certainly disappointed. The vet gave him the tiniest — and most adorable — leg cast before sending him home. Relieved that her friend was safe and would be on the mend soon, James brought Kirk home from the vet to begin resting — and that’s when they saw it. A get well gift was sitting there in the house, and it was for Kirk. After posting about the wheelchair on Twitter, James realized just how special of a gift it was for little Kirk, who would surely use it if he had hands. 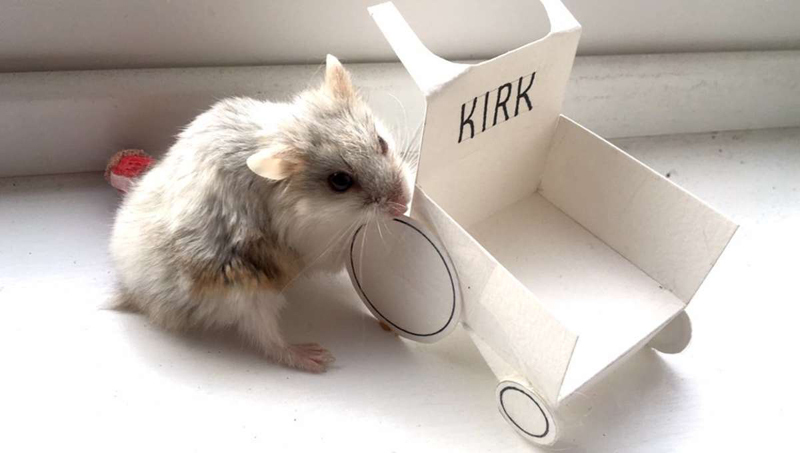 While the vet has ordered Kirk to rest so he can heal his injury, the hamster isn’t too keen on a world where he can’t explore.So, under the careful watch of his mom, Kirk still manages to make the most of every day by staying active. 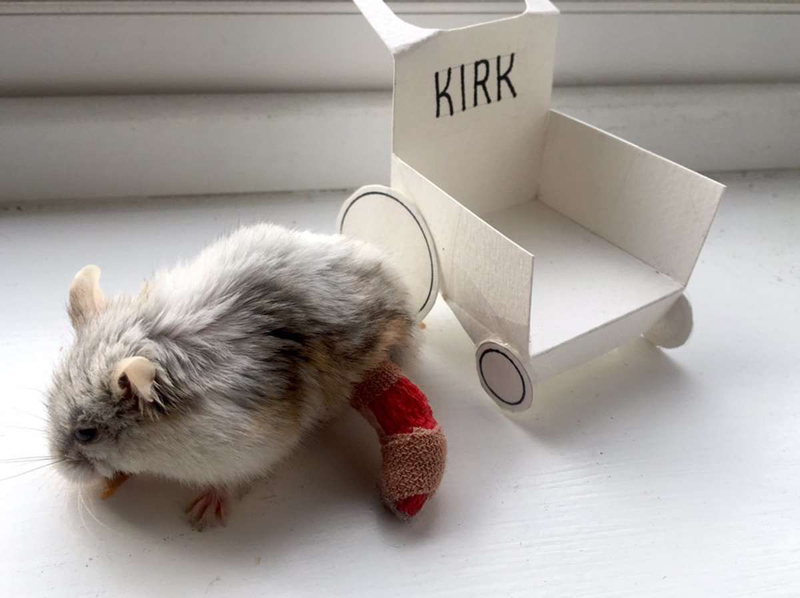 “Kirk isn’t in the habit of sitting still though so he powers on without wheels, using his cast as a sort of paddle to push himself along,” James said. 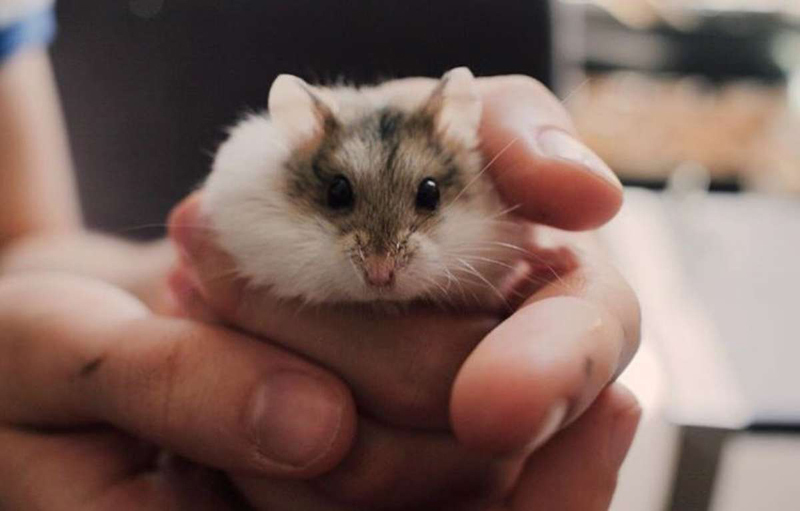 “He’s a funny little man, incredibly friendly, never bites, and always wants to be wherever he isn’t.”A hamster this adventurous has to stay busy, after all.